when i found this scan i remember my friend who always dress with red and black. This is really cute. I love gothic costumes. The background looks rather nice too. Really lovely ^_^, don't know what to comment = =. omg, this is so lovely! the colours and all and the way you presented it! omg! super cute! hahax..! 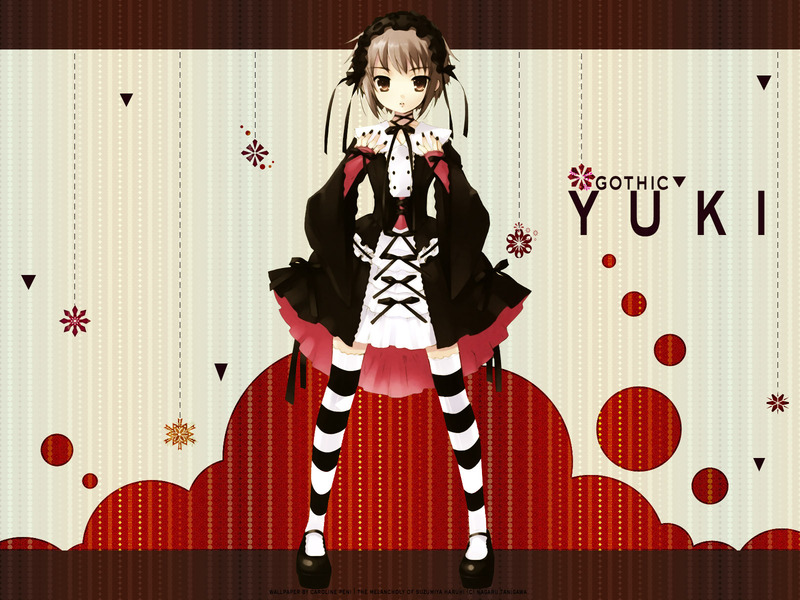 gothic yuki! so kawaii! wow its such a different way to see yuki...everything looks perfect, and the bg looks specially good to me: simple but beautiful :) thxs for sharing! I really like the background are great, does to the vector from the character. I really like this art style! The contrasting colors make it look sharp. Very cool! Thanks for sharing!